In the experimental program our running experiments are ATLAS at the Large Hadron Collider and the Dark Energy Survey in Chile. Data analysis from CDF at the Tevatron is still going strong. Our CDF and ATLAS groups are active in top physics, gauge boson physics, flavor physics with bottom hadrons, and studies of the newly discovered Higgs boson candidate. Work on ATLAS upgrades is in progress, and our group is helping to build a hardware track finder (FTK) for the ATLAS trigger and the read-out system for the New Small Wheel muon upgrade. Much of our work has focused on understanding and improving the detector performance. We work on both TileCal and Muon subsystem commissioning and analyses. Our group is involved in searches for beyond-the-standard model physics using three complementary approaches: searches for new resonances, exotic Higgs decays, and searches for supersymmetric particles. Work on future experiments is also going strong and we are involved in the muon g-2 and μ2e experiments being built at Fermilab, and The Large Synoptic Survey Telescope (LSST) in Chile. The g-2 experiment is the latest generation of an experiment to measure the magnetic moment of the muon and we are building a very challenging clock system for the experiment. The μ2e experiment searches for the (Standard Model) forbidden decay of a muon into an electron and no neutrinos. We are involved with the design and construction of the data acquisition systems for each of these experiments, developing the timing and control system for g-2 and are collaborating on the DAQ system. The group is also actively involved in the interface between the data acquisition system and the analysis, as real-time data processing and reduction will be needed. The Dark Energy Survey (DES) studies dark matter and dark energy through their effect on the acceleration of the universe (supernovas and baryon acoustic oscillation) and on the history of structure formation (galaxy cluster formation and large-scale structure). DES started taking data in September 2012. Our data set will establish a new standard in the accuracy of cosmological measurements. The DES is in its third year (of five) of data taking, and the LSST recently passed its CD3 review, with full science operations scheduled for 2023. LSST will provide digital imaging of faint astronomical objects across half of the sky every three days, opening a movie-like window on objects that change or move on rapid timescales: exploding supernovae, potentially hazardous near-Earth asteroids, and distant Kuiper Belt Objects. The superb images from the LSST will also be used to measure the distortions in remote galaxy shapes produced by lumps of dark matter, providing multiple tests of the mysterious dark energy. 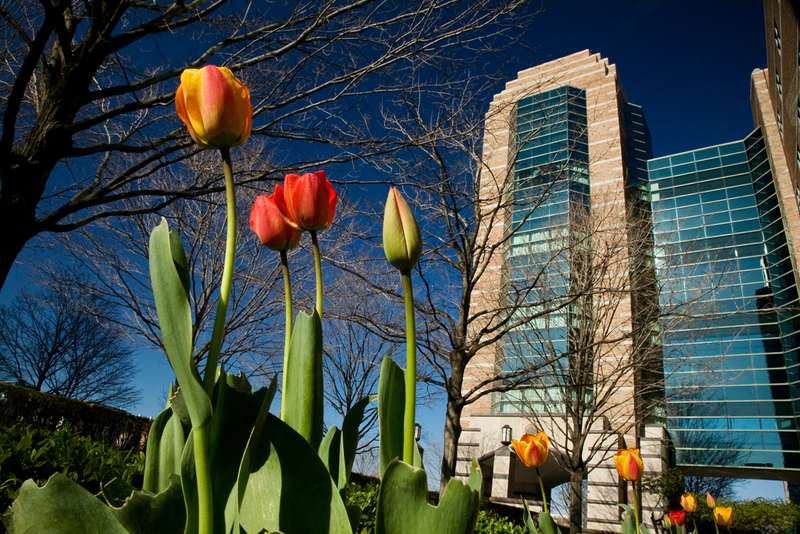 Learn more about our research projects at other laboratories around the globe. The Illinois nuclear physics research program is broadly centered around the physics outlined in two major Science sections of the 2015 Long Range Plan for Nuclear Science, namely "Quantum Chromodynamics: The Fundamental Description of the Heart of Visible Matter" and "Fundamental Symmetries and Neutrinos." Our QCD interests include nucleon spin and flavor structure to include both the initial state and formatoin of the quark- gluon plasma in heavy ion collisions. We also continue to have a strong program in experiments sensitive to physics beyond the standard model. We have ongoing major efforts in ATLAS, COMPASS, EXO, neutron EDM, PHENIX, SeaQuest, and sPHENIX. 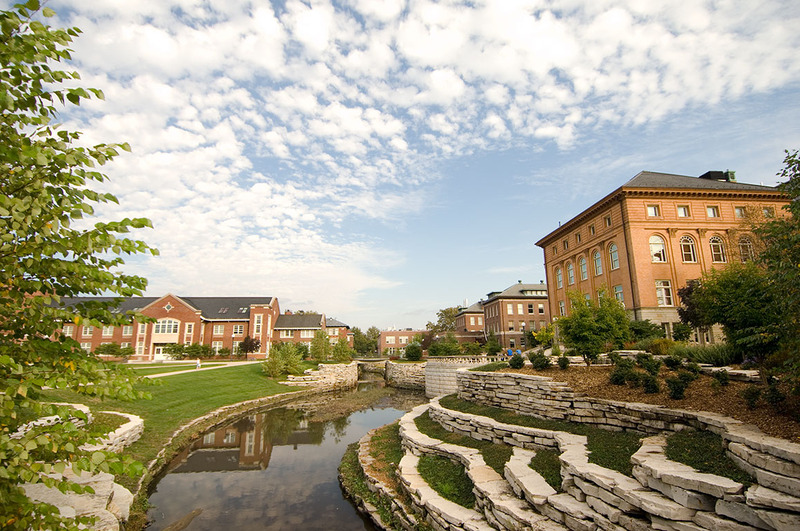 The Department of Physics at the University of Illinois at Urbana-Champaign—ranked among the top ten in the U.S. by the National Research Council of the National Academy of Sciences—is a world leader in physics research and education. 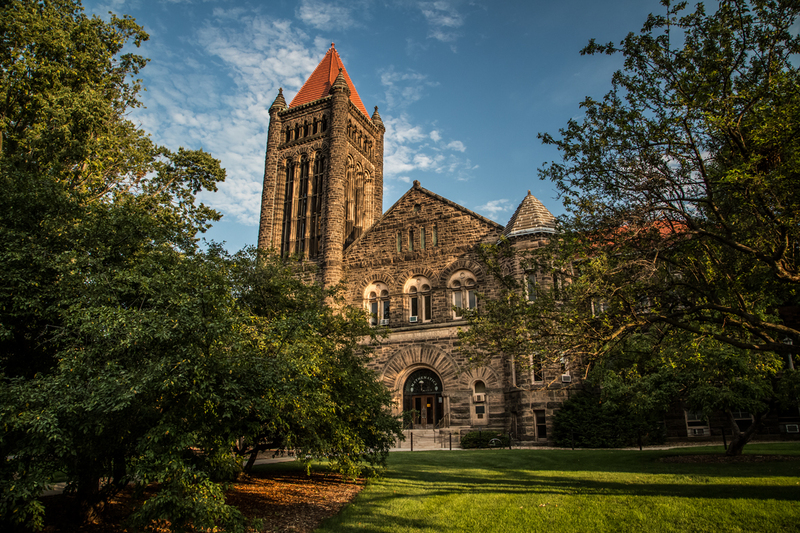 We are committed to training new generations of researchers and leaders, to forging new partnerships with government and industry, and to applying the tools of physics to new problems to benefit the State of Illinois, the nation, and the world. Major experimental and theoretical programs range from fundamental to applied research and are currently externally supported at a level of $29 million annually. In addition to our department's pre-eminence in traditional physics disciplines, such as condensed matter physics, nuclear physics, high energy physics, and astrophysics, we are also increasingly recognized for our strong programs in biological physics, mesoscopic physics, computational physics, and the physics of quantum information. 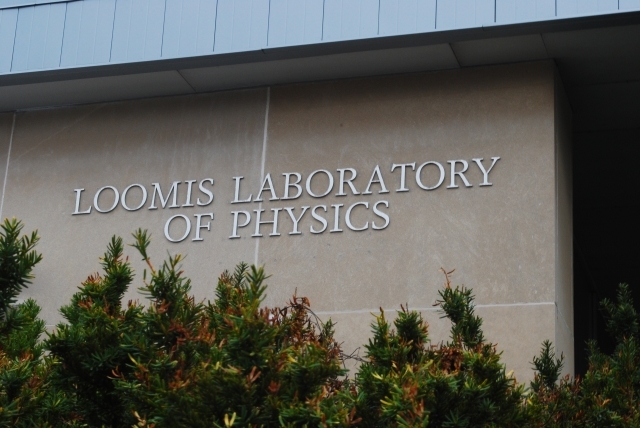 Physics research also encompasses interdisciplinary collaborations with other Illinois science and engineering departments—many also ranked within the top ten U.S. programs. 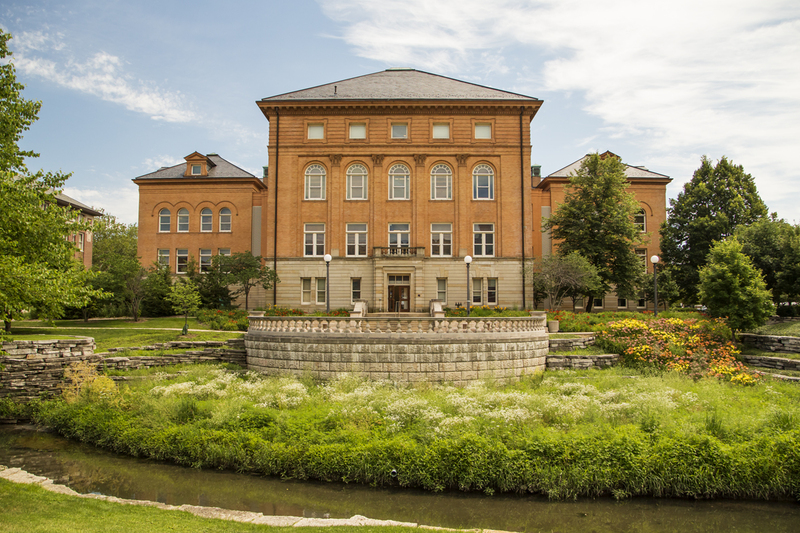 As one of the world’s top ranked engineering programs, our students, faculty, and alumni set the standard for excellence. We drive the economy, reimagine engineering education, and bring revolutionary ideas to the world. We solve the world’s greatest challenges. We look toward the future and find ways to make it a reality. Leading the innovation of virtual reality. Designing electronic tattoos to treat seizures. Building safer global water systems. Converting algae to biofuel. Exploring fusion energy. A portal for current students and faculty to view the Physics directory, reserve a conference room, make a purchase request, and read the latest news. This material is based upon work supported by the Department of Energy under Grant Numbers 64377, 56840, 80780, 561096, DEFG02-03ER41281, DEFG02-91ER40677, DE-SC0009932, DOE2016-02567 and DOE2016-05127. This material is also based on work supported by the National Science Foundation under Grant Numbers PHY03-49179, PHY04-26272, and PHY10-56987. Any opinions, findings, and conclusions or recommendations expressed in this material are those of the author(s) and do not necessarily reflect the views of the Department of Energy or National Science Foundation. © Copyright 2016 by The Board of Trustees at the University of Illinois at Urbana-Champaign. If you have questions about this page, please contact webmaster. Links to external sites are provided as a convenience to our users. The Department of Physics does not control or endorse the content of external sites.